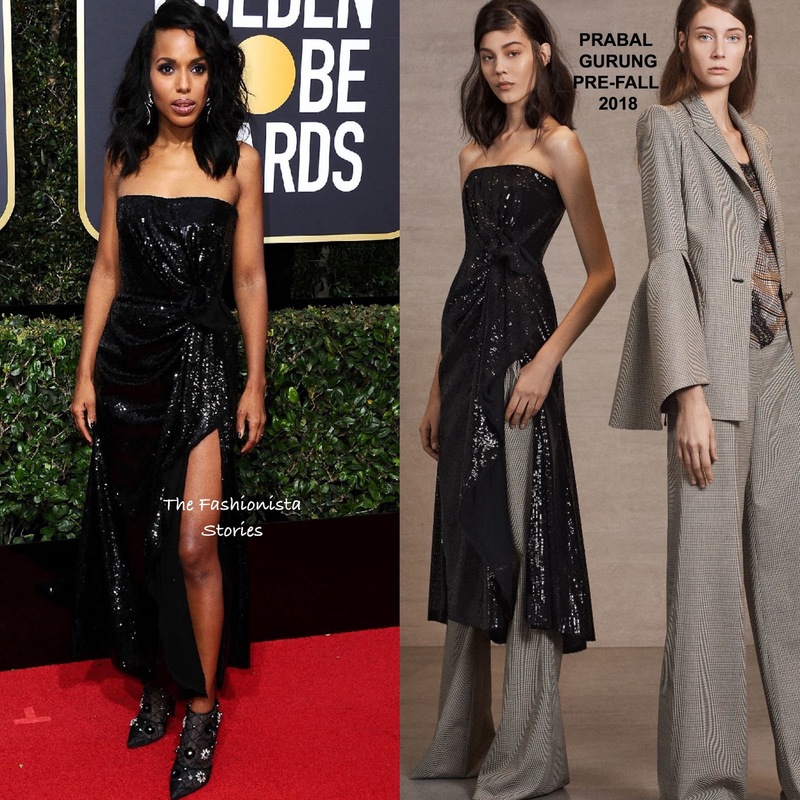 Kerry Washington stepped out to present this evening(January 7th) at the 75th Golden Globe Awards at The Beverly Hilton in Beverly Hills, CA. Working her left leg, she wore a PRABAL GURUNG PRE-FALL 2018 black strapless sequin dress which stopped above her ankles and featured a tie waist and a split. Instead of wearing a strappy or ankle strap sandal with her dress, Kerry opted for the ROGER VIVIER flower net ankle booties. Accessorized with LORRAINE SCHWARTZ jewelry, she finished up with side parted waves and smokey eyes which was off-set with a glossy lip.